DESCRIPTION HOME SWEET HOME! Enjoy luxury living in this spectacular, Green Built Sarina Townhome located in the desirable community of Bankview! The main floor of this expertly upgraded property features a bright living room with a lavish Montigo gas fireplace & oversized windows that allow you to bask in your GREAT VIEWS! The gourmet kitchen is showcased by custom soft close cabinetry, huge island with quartz countertops & stainless steel appliances(Gas Range) which opens up to your spacious dining area & private balcony. The top floor includes a dreamy master suite with a huge walk-in closet & lavish 4 piece master bath including his & hers sinks, steam shower, rain head & heated floor! The second bedroom, 4 piece bath & laundry complete this floor. 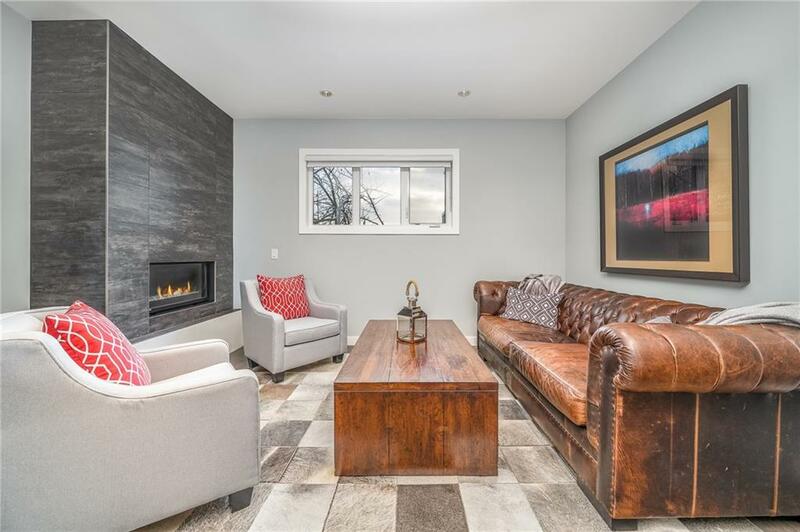 Other features include main floor 2 piece bath, built-in Sonos sound System, Central AC, gleaming hardwood floors, storage & single attached garage This inner city location is steps from Marda Loop, 17th Ave, schools, shopping, public transit & amenities!